Different Governor, same outlook. Well, maybe a little less optimistic about economic growth prospects. The Reserve Bank on Thursday kept the Official Cash Rate unchanged at 1.75% and reiterated the view that monetary policy would remain accommodative for a considerable period. The decision was the first presided over by Acting Governor Grant Spencer, who will be in the job for six months till a permanent replacement is found for Graeme Wheeler whose term ended this week. Spencer's first OCR statement was virtually unchanged from the last one issued by Wheeler in August. There was some slight tweaking of the language around expectations on the NZ dollar, with the statement this time around saying a lower valued dollar would "help", which was a change from the word "needed" used in the August statement. Also, the RBNZ appears more cautious now about growth prospects for the economy and has paid attention to recent weakness in the construction sector. The dollar was little changed after the announcement, trading at a little over US72c. The RBNZ has forecast no rises in the OCR till late 2019 and there's nothing in the latest statement to suggest that view has changed. ASB chief economist Nick Tuffley said the RBNZ had retained a "neutral stance". "The growth comments [in the statement] hinted at a little more caution. Construction’s recent weakness was noted, and GDP growth was noted as being expected to maintain its current pace. With [second quarter] growth of 0.8% [quarter-on-quarter] and the August [Monetary Policy Statement] forecasts showing 0.9%-1.0% qoq through to mid-2018, the RBNZ may have shaved its growth outlook slightly," he said. Westpac senior market strategist Imre Speizer said there was not much for markets to react to in the statement, "apart from a hint of a possible downgrade to its construction activity forecast". 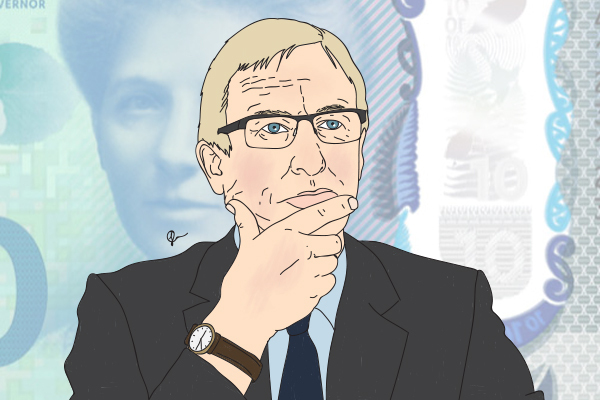 "We suspect markets will need to wait until the November MPS, when the RBNZ comprehensively updates its forecasts, to learn of any changes in the RBNZ’s thoughts." Kiwibank chief economist Zoe Wallis and senior economist Jeremy Couchman said the "most significant change" in the latest statement was around the RBNZ commentary on the outlook for growth. "The Bank now expects growth to 'maintain its current pace going forward' - this was a downward revision from the August MPS, which noted that 'growth is expected to improve'. While the statement noted that same growth drivers as were highlighted in the August MPS - population growth, stimulatory monetary policy, fiscal stimulus and a high terms of trade - it suggests the Bank's growth forecasts maybe pointing toward a slightly lower growth profile in coming years," they said. "This isn't a surprise given the constraints we are currently seeing, particularly in the construction sector." "...House price inflation continues to moderate ....This....is expected to continue, although there remains a risk of resurgence in prices......"
Quantitative Easing has been given equivalency with money printing. Reserves are, after all, base money in every Economics textbook. QE wasn’t really money printing but might work as such if you believed it was. Monetary policy in an official world of regressions and correlations is more about feelings and manipulated expectations than actual money. In that way, Economics is more akin to astrology (the gloss of math and science) than either physics or auto repair. The proof was available before Williams spoke, especially the part about interest rates. But if it was debatable prior to QE3, it is no longer so after its invention and conclusion. Interest rates fell more without QE than with it. In fact, almost three years after its completion, long treasury rates (those tied to economic perceptions where “stimulus” should be active) are lower now than at that time. As a result, in a world where the Fed pays interest on bank reserves, traditional theories that tell of a mechanical link between reserves, money supply, and, ultimately, inflation are no longer valid. In particular, the world changes if the Fed is willing to pay a high enough interest rate on reserves. In that case, the quantity of reserves held by U.S. banks could be extremely large and have only small effects on, say, the money stock, bank lending, or inflation. Back in 2008, even Janet Yellen knew there were problems with QE. During a December 2008 Fed meeting, she said there were “no discernible economic effects” from Japanese QE.....So forgive us for asking, but after unprecedented expansion of banking reserves and the Fed balance sheet, with little inflation, is it really a “mystery?” Or, is it proof of what we believed all along: QE didn’t work?. QE. Yet, it is perfectly willing to allow people to think QE is what saved the economy. The only “mystery” is why they would allow this to happen . “However, floating mortgage rates are likely to remain at very high levels, forcing home borrowers into short term fixed terms” He left out of his speech. Also , there is sufficient evidence of buyer push-back . There's a fair bit of Housing NZ building happening, but private house building is slowing considerably, for all the factors you raise.